Note: this page applies to shops using the Premium Tier and price-changing options. 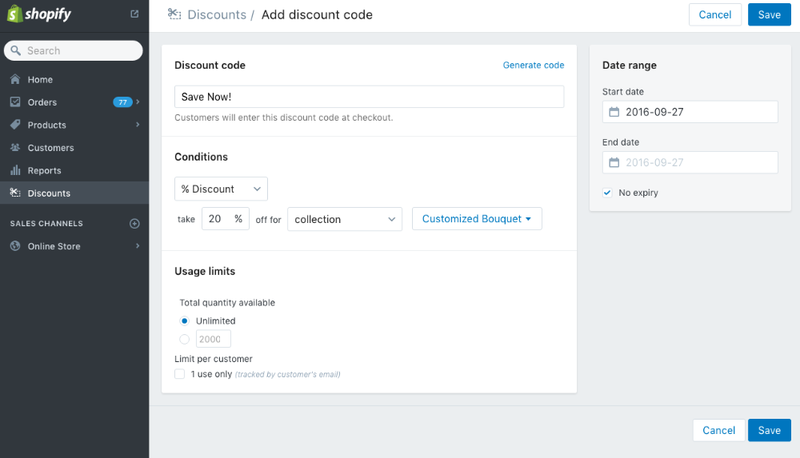 If you're using the Basic tier of product customizer, or product options that don't include an additional cost, discounts work as normally. 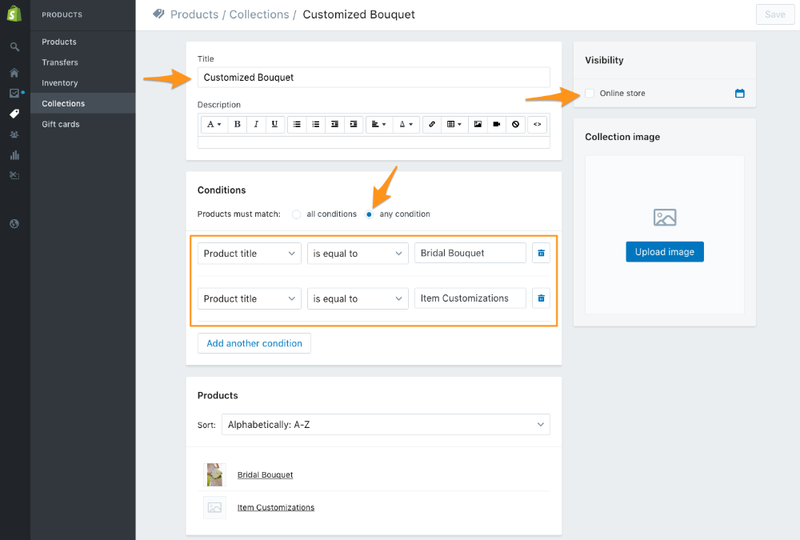 The only type of discount that requires some additional consideration before use on products with paid customizations is the percentage discount for a specific product. 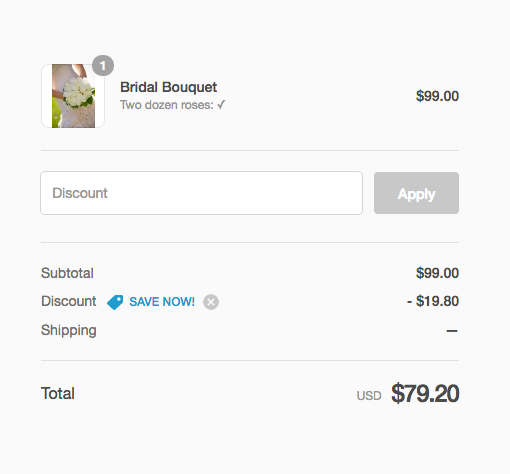 For the purposes of this tutorial we'll assume that we have a $79 product named "Bridal Bouquet" that has an optional $20 upcharge to use two dozen roses, and we want to create a 20% off discount called "Save Now!" 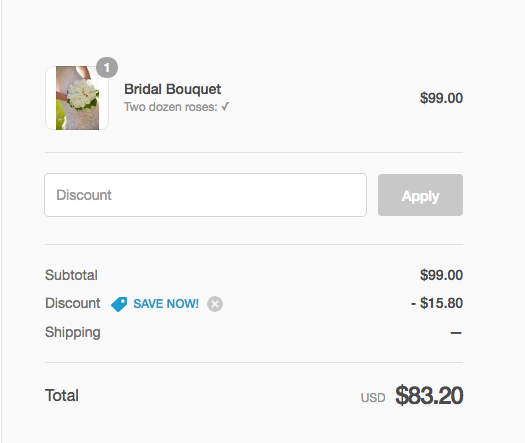 that can be applied only to the Bridal Bouquet product.